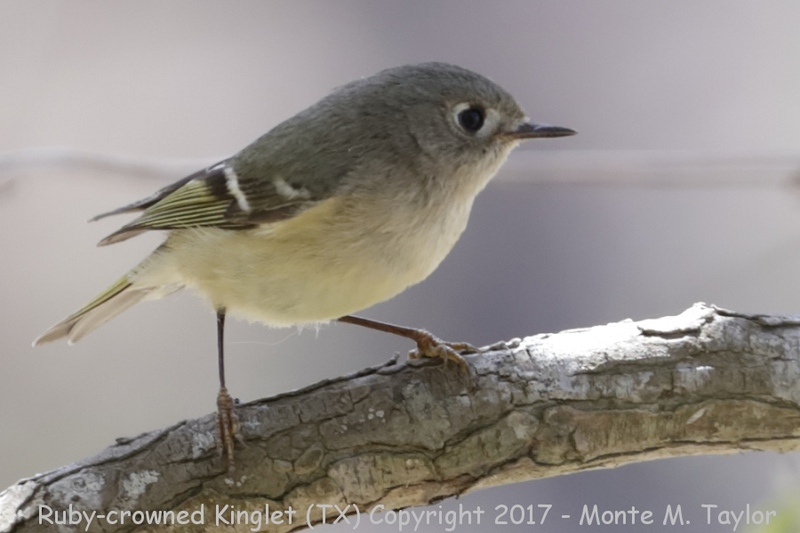 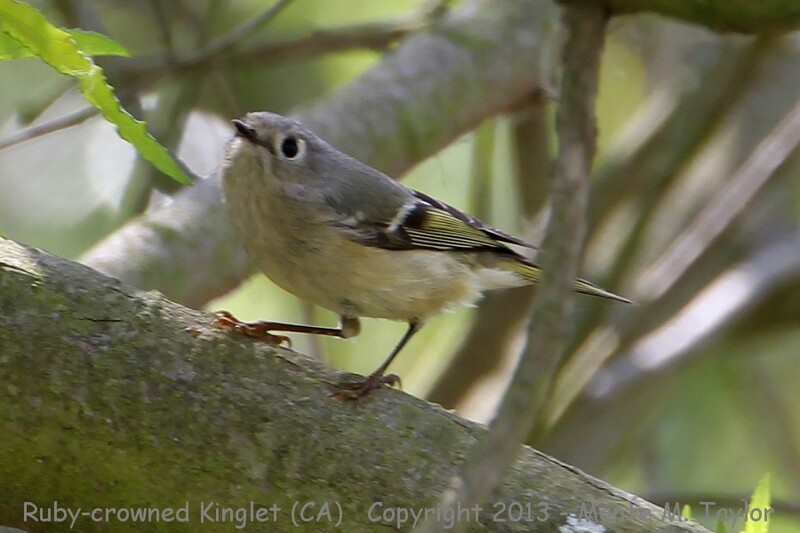 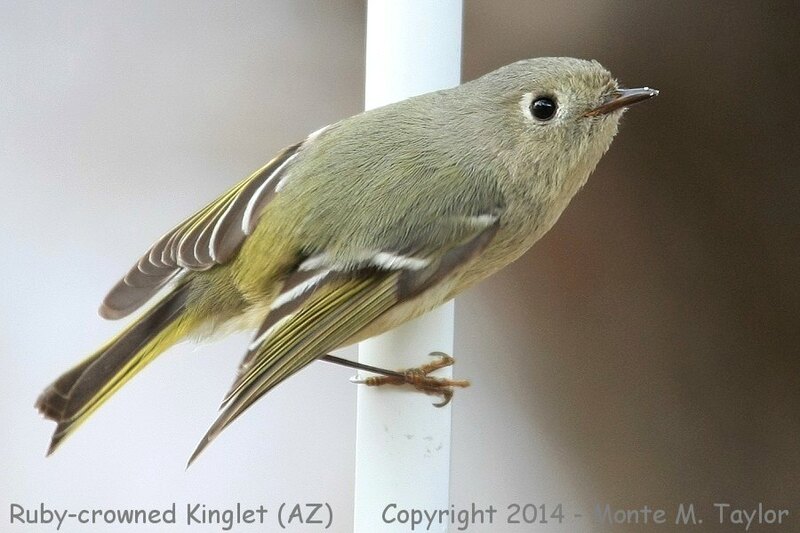 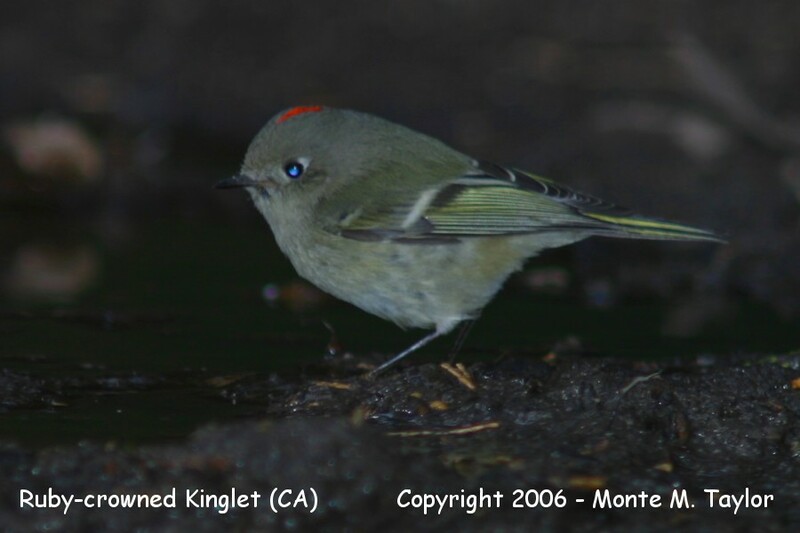 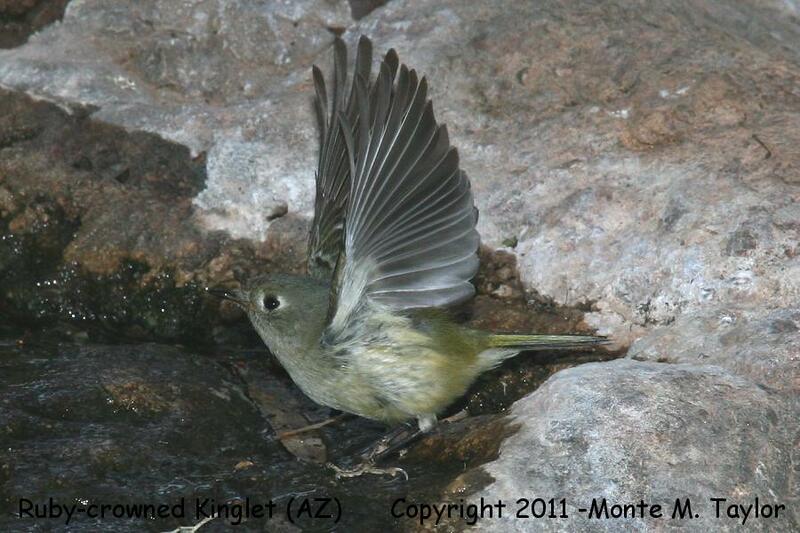 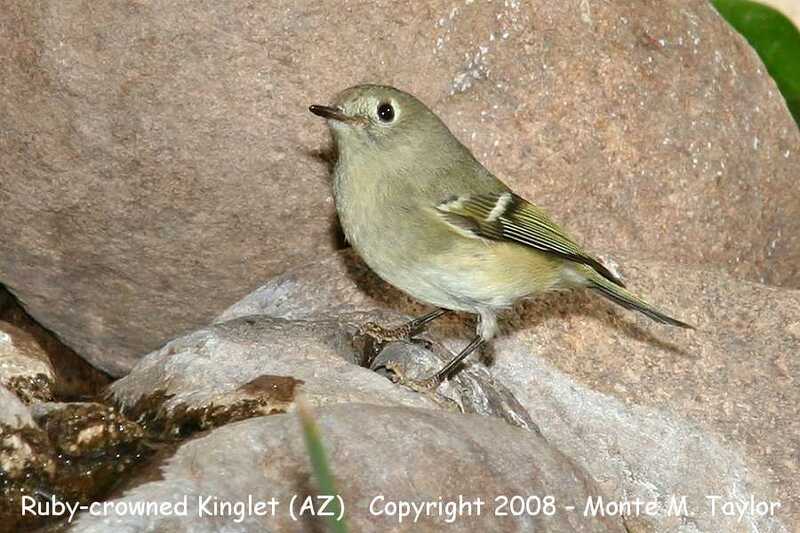 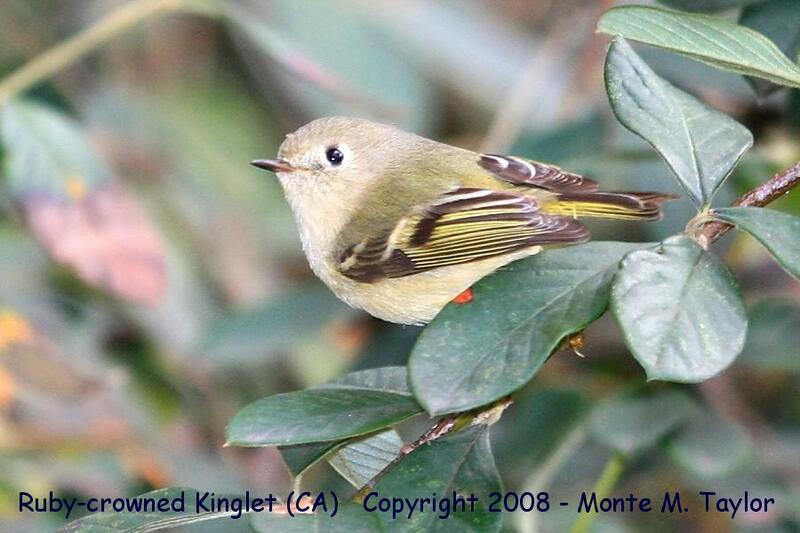 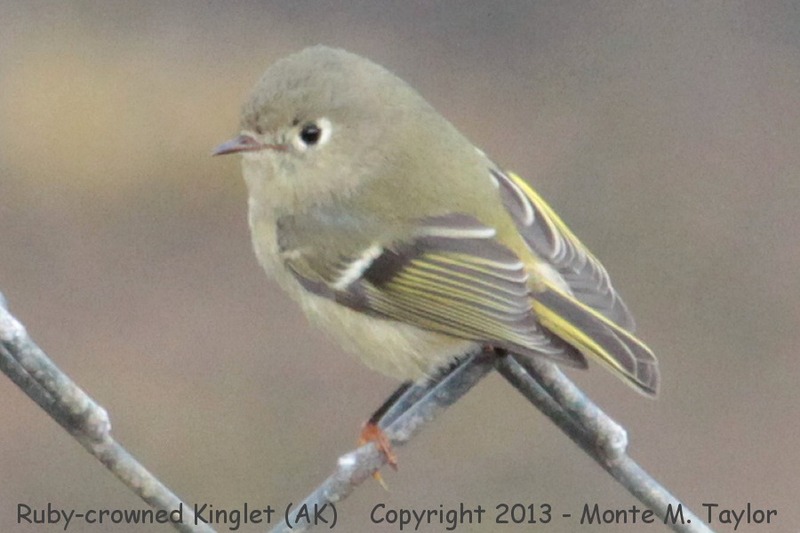 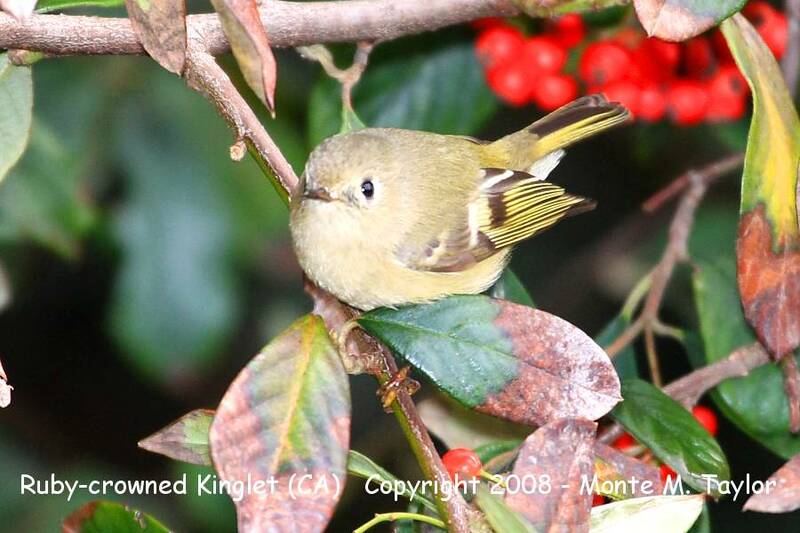 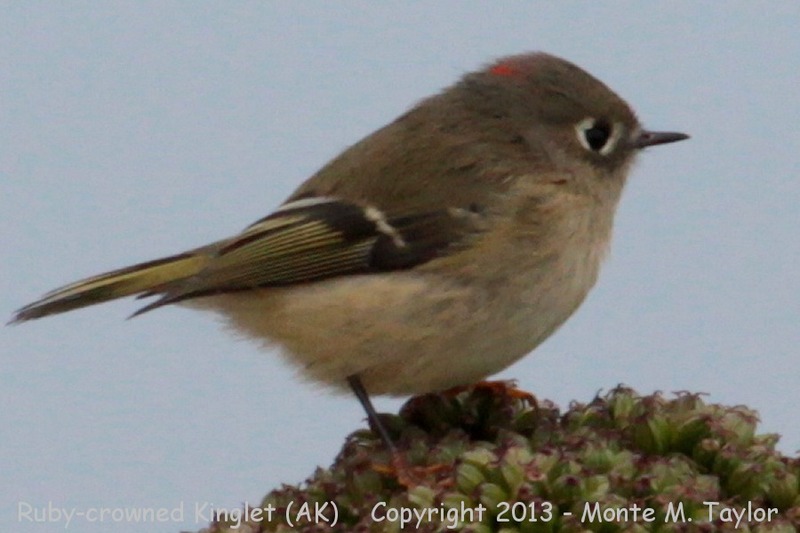 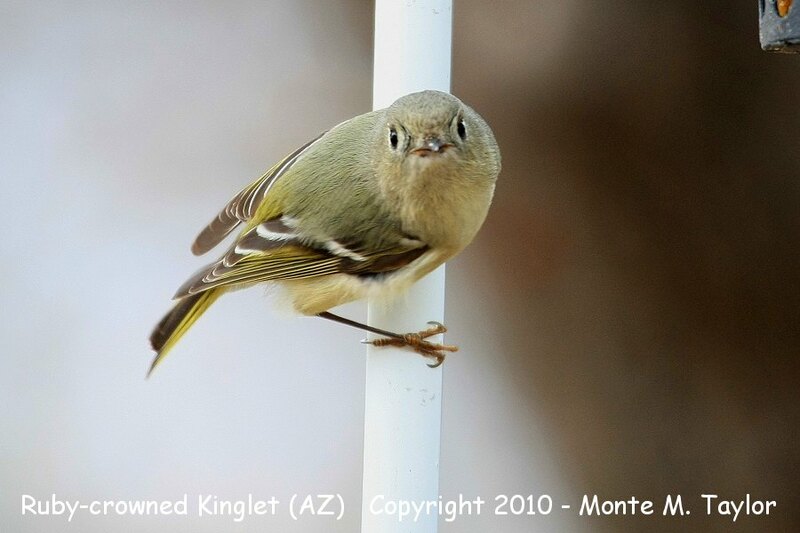 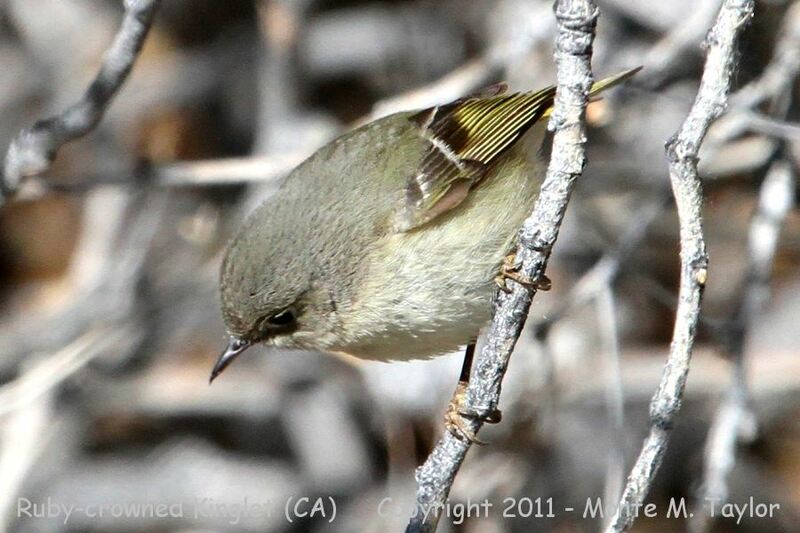 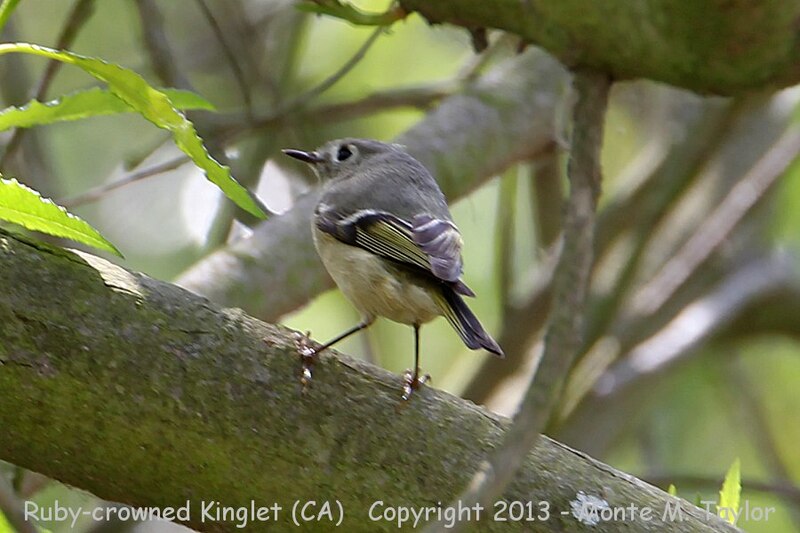 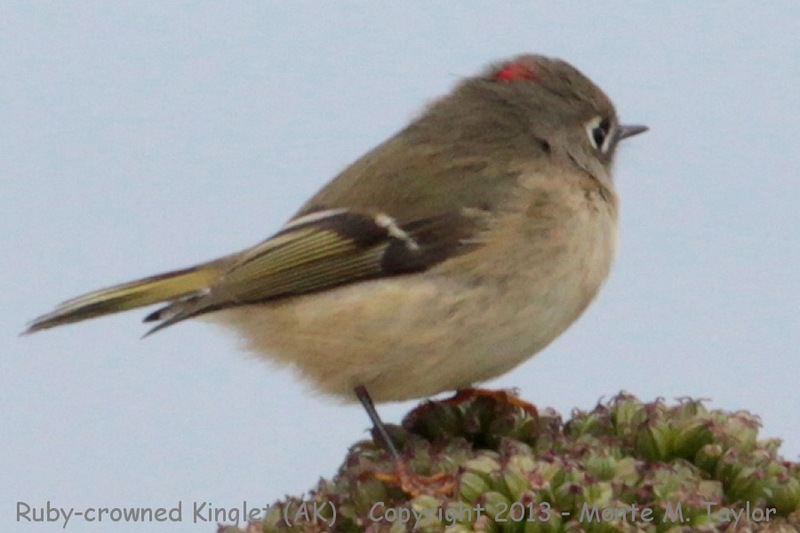 Separating Ruby-crowned Kinglets and Hutton's Vireo often are an issue. 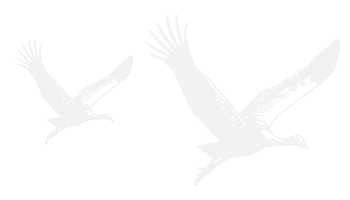 shows a darker wing panel between the two distinct whitish wing bars. 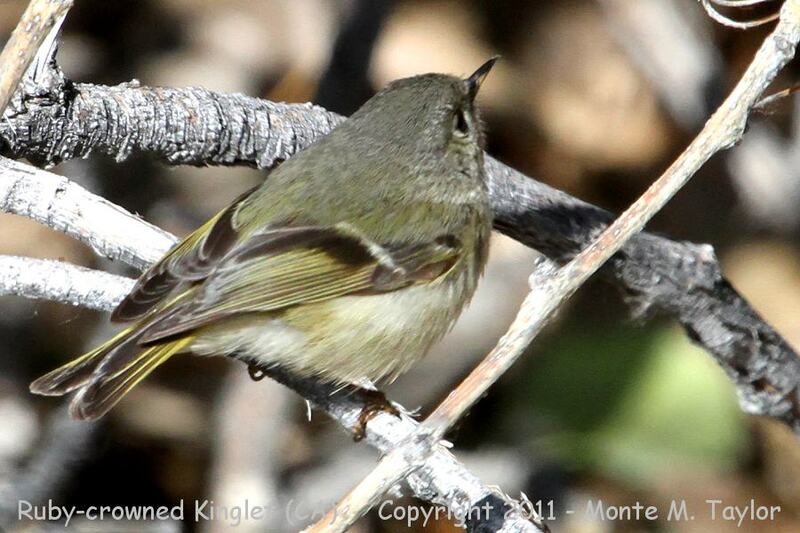 have yellow feet seen more so below.